Centument AutoTrader Scam Review: No Sentiment or Regret! Centument Binary Options Robot Scam Review: No Sentiment or Regret! It’s time to get rich again because I’ve just found another no-experience-needed, no-risk, sure-thing autotrader. Scam sites like the one we’re gonna talk about are multiplying these days and that’s a sign that people are still buying into their BS or otherwise the scammers would stop doing it. All we can do is continue to bring you these articles where we warn you about the lies behind the scenes. Today: Centument Club. This binary options scam has the usual structure and all the little elements that make a scam “great”. 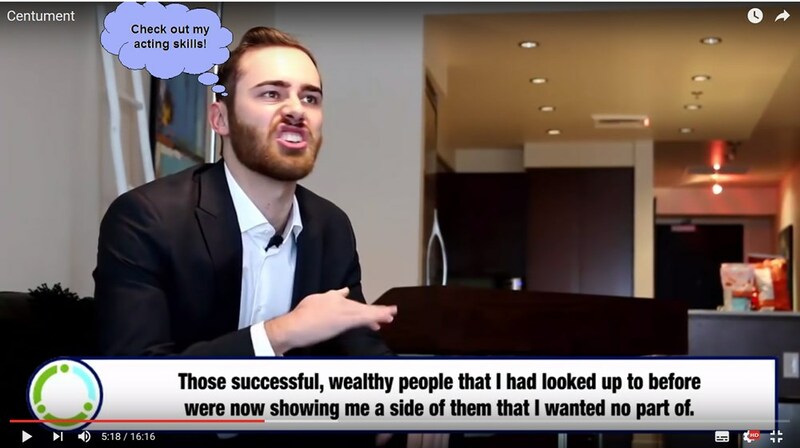 First, enter a supposedly successful trader (in fact an actor – and by the way, don’t blame the him, he is just doing his job), secondly show off his car and apartment/house, and thirdly make people believe they will be rich and make them sign up to your recommended broker. 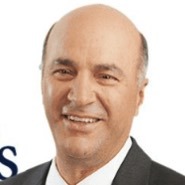 Ok, let’s start at the beginning: this guy Gerald Something was a Wall Street trader (all major firms were flocking to get his services), making millions per year, was addicted to money, drugs and women and he was using secret techniques for trading. 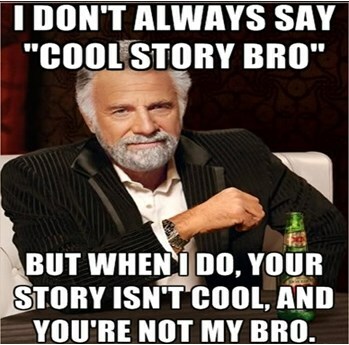 Cool story, bro. Now he is sick of it all and he decides to reveal the secrets he was talking about and start his own firm. This guy doesn’t know how things work: if you want to start your own investment firm, you don’t give away your secrets to your clients because if you do, what will stop them from using those secrets to trade for themselves? Think about this: I have just started a company that sells hand knitted scarfs and I have 10 clients. Then I teach all my clients how to hand knit scarfs. Then I try to sell them hand knit scarfs… do you think they will buy something they can now get for free? Anyway, now that his mind is made up, he tells the usual story where he goes out, seeking the best developers, “superstar” programmers, the ones that can translate all his trading ideas into an easy to use software. Of course, there’s no experience needed from the user’s part, no money needed, free, milk, honey, pigs flying, Peter Pan and Snow White are having a baby called Mr PanCake… you know, all that jazz. So he managed to complete the software (of course) and it was time to test it. It’s no surprise that it performed miraculously, even better than he anticipated… he even went to Bloomberg with it and allegedly they said something about this program being the new Crown Price of trading software (yea lol). Nope, they don’t. There’s no trace of Centument on Bloomberg. I know what you’re gonna say: the software is so good that Bloomberg decided to keep it a secret. Well, if you say that, then you probably believe Mr PanCake is a real person too. But this dude doesn’t stop at Bloomberg, he even says that a Wall Street “big player” wanted to buy him out. 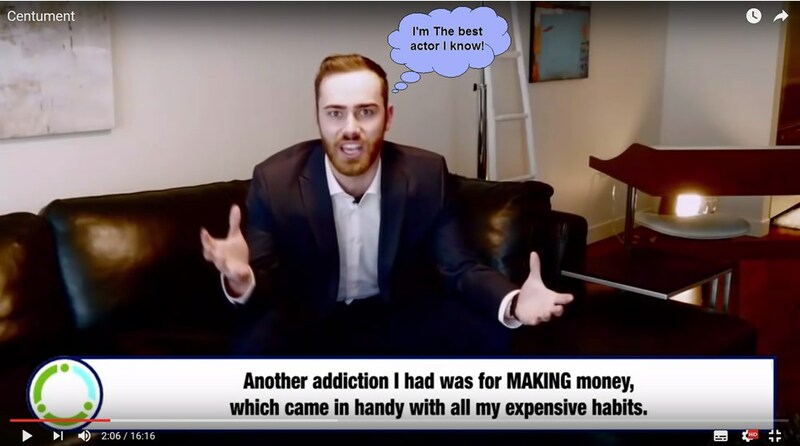 He refused of course, because the former money-addict now doesn’t want money anymore. 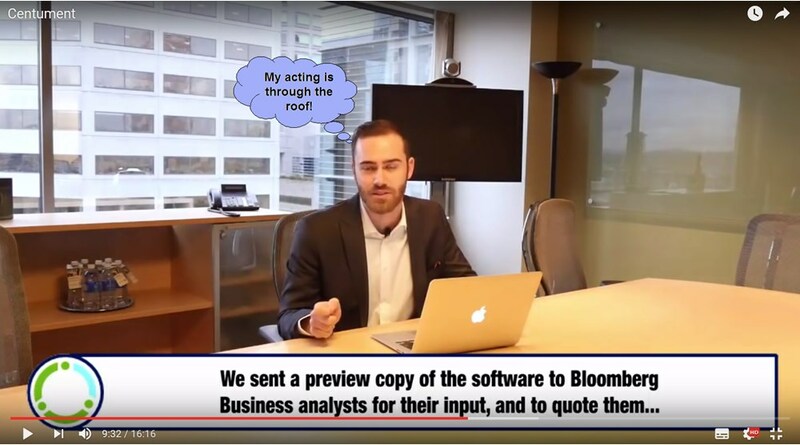 Who is this big player you might ask – well he only gives us the initials “B of A” (clearly he hints at Bank of America) so his software is praised by Bloomberg, wanted by Bank of America, but you and I are the only ones who are going to get it. Oh, we are so privileged… but why is he doing it? Here’s where his creativity spikes through the roof: he wants to go public with Centument LTD, launching their IPO (Initial Public Offering) and the more success the users have with the software, the higher the IPO price will be, thus making him a wealthy man. This train of thought could fool some people because it kinda makes sense… kinda. First, Centument LTD doesn’t exist, so good luck going public with a non-existent company. Secondly, the stock of a company is not influenced by a few positive user reviews on some obscure forum or in a corner of the internet. 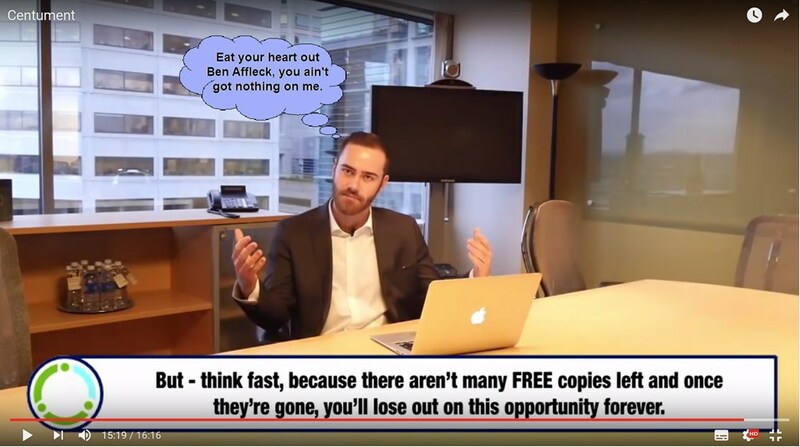 Even he says there are not many Free copies so obviously the number is limited, and it cannot have an impact on the stock price of a company that is about to go public… did I mention that company is doesn’t exist? Yes, act fast and close the website if you ever get there, or delete any e-mails that tell you how amazing this software is. And I have to warn you about something else: lately most of the scammy software that I review (this one included) directs me to the broker Binary Book. It might be an IP related thing so maybe you will be directed to another brokerage but either way, I believe you’ll be better off staying away from brokerages that associate themselves with such trading robots. So be careful with Binary Book even if you don’t use this Centument BS.